Review: 2013-05-06, outstanding performance by both Kohei Kono and Liborio Solis: amazing pace, back-and-forth action, tough exchanges and both boxers went to the canvas! In a fight like this, there is not a loser but two winners, it is certainly one of the best boxing fights of 2013 and it gets four stars! Kohei Kono ranked as the No.3 super flyweight in the world, entered the fight with a record of 28-7-0 while Liborio Solis had a record of 14-3-1 (Solis is not ranked as he hasn’t fought since April 28, 2012 when he defeated Santiago Ivan Acosta). 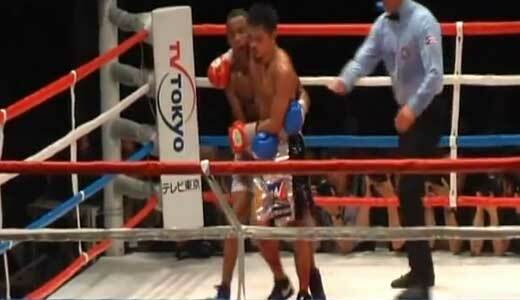 Kono vs Solis is valid for the WBA World super flyweight title (Kono’s first defense). Watch the video!